We are not accepting registration for the following programs at this time. After-school clubs run for one hour, once per week, for 8 weeks. Each week will feature activities and projects that utilize a student-centered, hands-on approach to learning science. We pride ourselves in fostering a "worksheet-free environment" in which students of all abilities can find success and realize that learning can be a whole lot of fun. 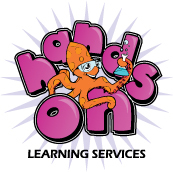 For the Fall 2013 session, our theme for After-School Science will be "It's a Mad Science World!" This program will include some biology, chemistry, physics, STEM, and even some arts integration. We have run this program at several public and private elementary schools, including: Arnold, Benfield, Chesapeake Academy, Millersville, Naval Academy Primary School (NAPS), Rolling Knolls, Shipley's Choice, and St. Mary's (Annapolis). We'd love to bring our programs to more schools- let us know if you'd like to have our After-school STEM clubs at your school by clicking this link: COME TO OUR SCHOOL! We will open registration for these programs in Spring 2019 via Summer at Key. Looking for something fun and educational for your kids during the summer months? Our summer programs may be the answer. Each week will focus on different themes and topics but each promises lots of fun, exciting, hands-on science projects for kids in grades PK-5. We may even do some special middle school sessions.